SCADA systems are crucial to maintain efficiency network and process data for smarter decisions and communicate system issues to help mitigate crisis events & operational problems. 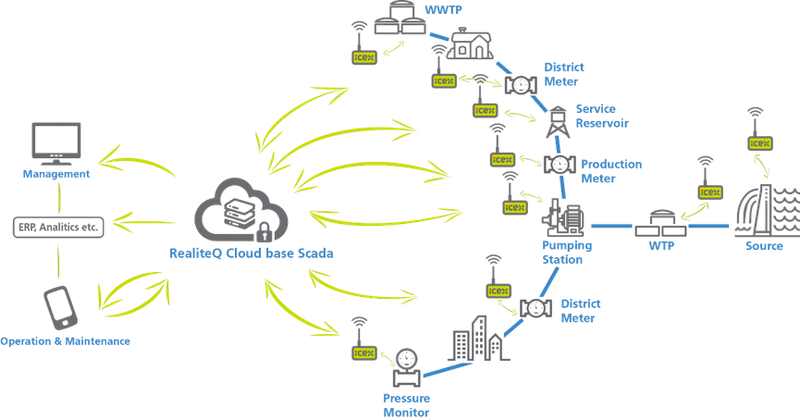 Having modern SCADA system, is the base for any Smart Water Network, so, how come, that even today with the technology revolution that the water network is facing, many utilities still don’t have a full centralized SCADA system or don't have SCADA system at all? The answer is simple – traditional SCADA systems are still not affordable to many utilities as for its costs, technological complexity and the long and complicated installation, as well as for the need for ongoing maintained of the system. No Installation & Maintenance Headache - Non-destructive and seamless interfacing with existing equipment & software. One stop shop - End to end (telemetry & HMI), Bi & multi directional, historian data base, operational & managerial dashboards, reports and alarms! Another common challenge that utilities are facing very often and RealiteQ technology can solve very easily and in low investment, is adding new facilities & upgrading old local SCADA systems (each facility has a standalone system) to a modern centralized SCADA (all the facilities connected to the same server and can be seen on one screen). SWAN is necessary for modern efficient utilities and centralized SCADA systems .The base to any SWAN must and can be available & affordable to any utility anywhere, and with RealiteQ new generation of SCADA; it is!